The Crystalite Flared Orbit Vase is a large twisted vase with a flared top. Available in 2 sizes, this stunning crystal vase stands on a square base, with a wide body and large face perfect for the addition of personalised text and logo engraving. 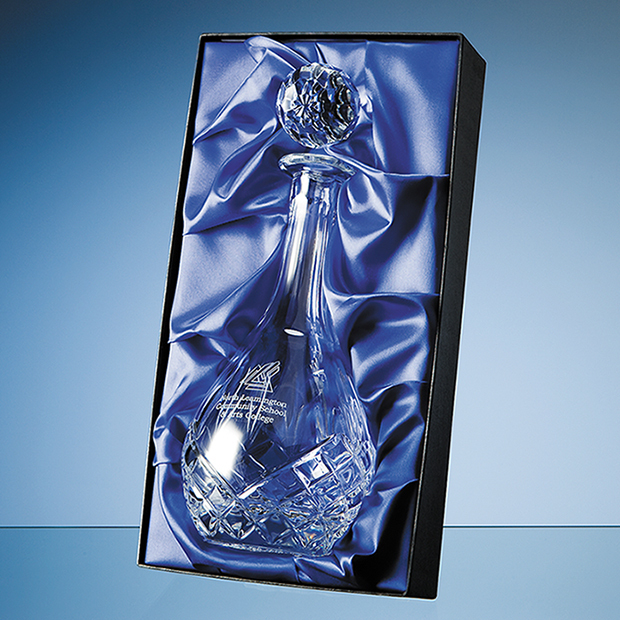 Perfect as a personalised gift for any special occasion, or as part of a corporate display, the Crystalite Flared Orbit Vase is superbly finished and supplied in a choice of box options. 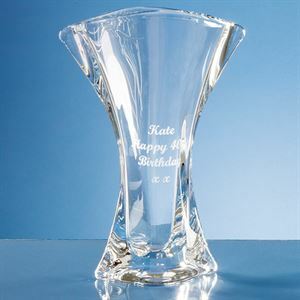 The Crystalite Flared Orbit Vase can be purchased with or without personalised high quality engraving. 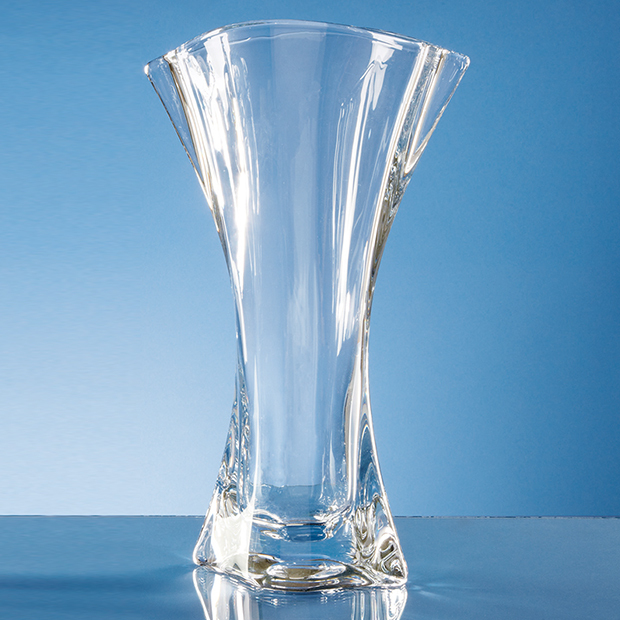 The perfect presentation piece for any event, the Crystalite Flared Orbit Vase is a beautiful crystalite vase with a square base and flared twisted body. The face of the vase has a smooth design for displaying your choice of text and logo personalisation. The high quality engraved vase is available in 2 sizes and is supplied in a FREE skillet box which can be upgraded to a satin lined presentation box for a luxury finish.